Arnaudville, LA – Arnaudville’s Bayou Teche Brewing is releasing Miel Sauvage, a French-style ale crafted with honey sourced near their Arnaudville brewery. In France, farmhouse breweries have crafted a style of beer known as Biere de Miel for centuries – it is an ale brewed with an ample amount of honey from local beekeepers. 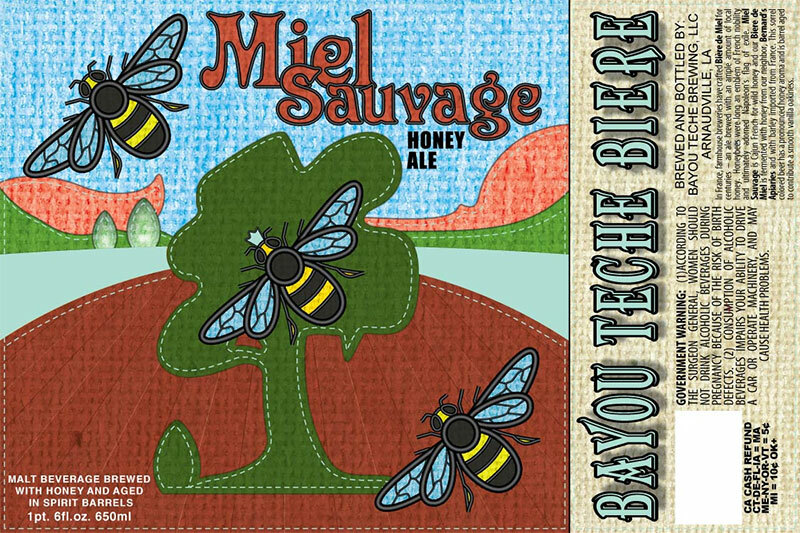 Miel Sauvage is Cajun French for wild honey and Bayou Teche Brewing’s new beer is fermented with a beehives worth of honey from their neighbor, Bernard’s Apiaries.